TUESDAY, April 3, 2018 (HealthDay News) -- An "alarming" number of weightlifting injuries occur among U.S. military personnel in combat zones, according to a new study. Intense weightlifting workouts help the armed forces stay in peak condition during deployment. But surgeons reported that during four months in a forward field hospital, they treated nine active duty male members for pectoralis major tears that occurred during bench press weight training. This is a serious type of chest muscle injury that's relatively rare among civilians. For example, a shoulder-and-elbow surgeon may see an average of less than one pectoralis tear a year, the researchers said. The male patients, ages 23 to 52, required surgery to repair the injury and then six months to recover. Four were in the Army, and five in the Air Force. Three were officers and six were enlisted men. 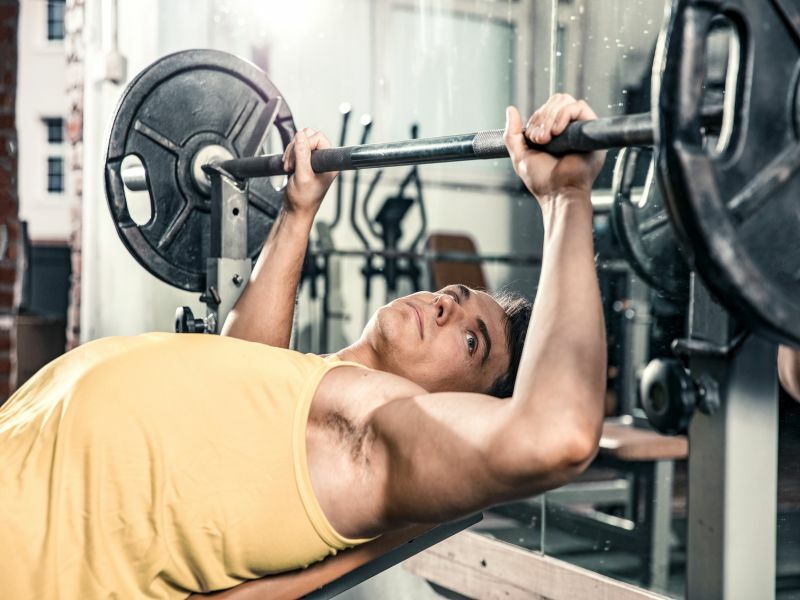 At the time of injury, the men bench-pressed anywhere from 135 pounds to 415 pounds, with an average of 258 pounds. Deployed active duty personnel "likely represent a high-risk population for this injury," wrote study lead author Dr. Dane Salazar and colleagues. Salazar is a former Air Force orthopedic surgeon and currently an orthopedic surgeon at Loyola University Health System in Maywood, Ill.
"Future studies designed to identify the true incidence, report long-term outcomes and investigate modifiable patient risk factors in this population are warranted," the study authors said in a Loyola news release. To reduce the risk of pectoralis injuries, the military should ban maximum-weight bench press competitions. Also, service members should lift lighter weights with more repetitions, the surgeons suggested. The report was published recently in the Journal of Orthopedics and Rheumatology.